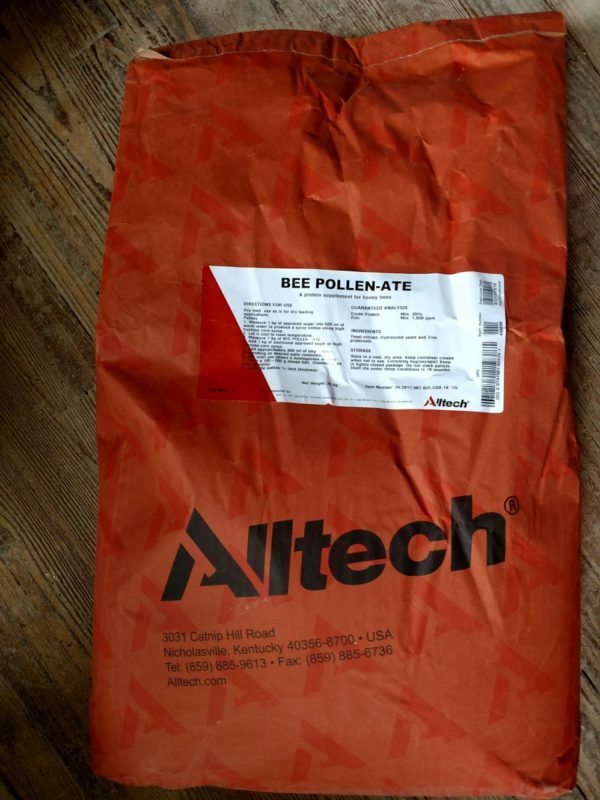 Bee Pollen-Ate from Alltech is an all natural and grain free protein supplement which can be fed to bees dry or as a patty mixed with a syrup.? Available by the 55.1lb Bag.? Also sold by the Pound, call for pricing and ordering. 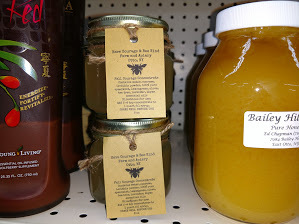 “Beekeepers know that proper nutrition is paramount to maintain a hive that thrives.? Bees need the right combination of nutrients in the form closest to nature.? With so many variables, impacting the flora available for pollination, supplementation can be used to ensure proper health throughout the year. Formulated to achieve increased vigor and hive development, increase brood population, stimulate royal jelly production, reduced stress during low pollen levels and subsequently improves resistance to diseases. Storage: Store in a cool dry area.? Keep container closed when not in use.? ?Extremely hygroscopic!? Keep in tightly closed package.? Do not stack pallets. Shelf Life: 18 months from date of manufacture, when stored under suitable conditions. Directions for Use: Dry Feed – use as is for dry feeding applications,? Patties – mix 1lb of Bee Pollen-Ate to 1.7lbs of sucrose to make patties.